INDIANAPOLIS (AP) Team Penske topped opening day at Indianapolis Motor Speedway as Simon Pagenaud and Helio Castroneves paced the first practice sessions for the Indianapolis 500. It was a big boost of confidence for Castroneves, who wasted no time getting up to speed at his favorite race track. The three-time Indianapolis 500 winner was fastest in Tuesday afternoon’s opening practice session, while Pagenaud led the morning session. ”It’s Helio. We call him the Speed King,” Pagenaud said. ”This is what he lives for. He loves Indy and he’s very, very focused on getting his fourth win. He’s very ready, like a fish in the water. Unlike her test session two weeks ago when she struggled with the weight of the steering wheel, Patrick’s biggest issue Tuesday was remembering how to work in traffic. 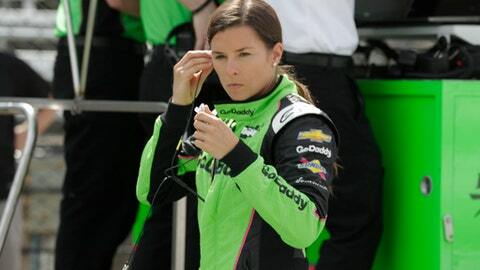 She left IndyCar after the 2011 season finale and spent the last six years in NASCAR. So Coyne had to find another driver and used Claman De Melo in last week’s road course race at Indy, where the driver finished 12th on Saturday. He then had to wait three more days before Coyne gave him the Indy 500 nod. Her Ed Carpenter Racing team wanted to get her on track quickly Tuesday morning to check her Chevrolet for any leaks, but they couldn’t get her there. She slogged through as many autographs as she could – including two helmets, a canvas painting and the front end of a stock car from one of her races last year in NASCAR that a fan had brought and set up in front of her garage while he sat in a lawn chair – before she was off to another commitment. Patrick was a featured speaker later Tuesday at the ”Fuel the Female” round table event in the Gasoline Alley, where she spoke to area high school students about succeeding as a woman in a male-dominated sport. She touched on the road she followed into racing – leaving high school to move to Europe and pursue a career as a driver – and the determination it took for her to succeed. ”I would say I never had people tell me I couldn’t do this verbally. But I don’t doubt that there were many people who thought I couldn’t do this in their mind,” she told the group of female students. ”You can feel that. You can feel when people don’t believe in you. And to be honest, there were times I didn’t think so, either. That’s the reality of it and we’re all human, and there were times when I lacked confidence and doubted myself. The rest of Tuesday’s opening day went to Ed Carpenter, owner of Patrick’s car, who was third fastest as Chevrolet drivers took the top three spots. Jay Howard was fourth fastest and was followed by Scott Dixon and Marco Andretti in a trio of Hondas.